why have this bad rendering in automatic with a texture on a box ? Front, back, top and bottom OK but not right and left ? 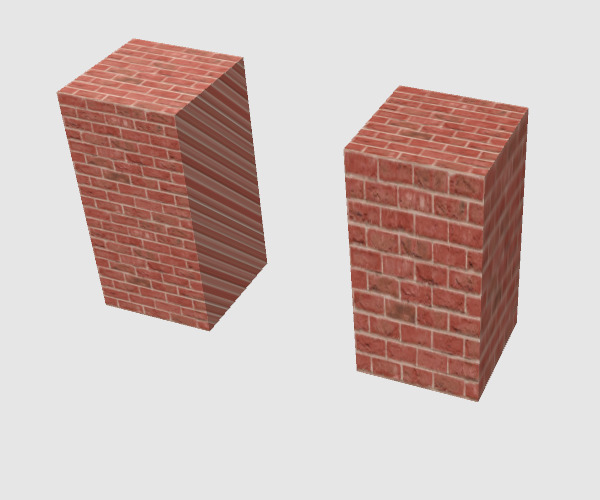 More, when I put manually a texture on the second box (right), I saw that the sizes are not the same for front, back, left and right faces and OK for Top and bottom ??? Can you correct this 'bug' ? 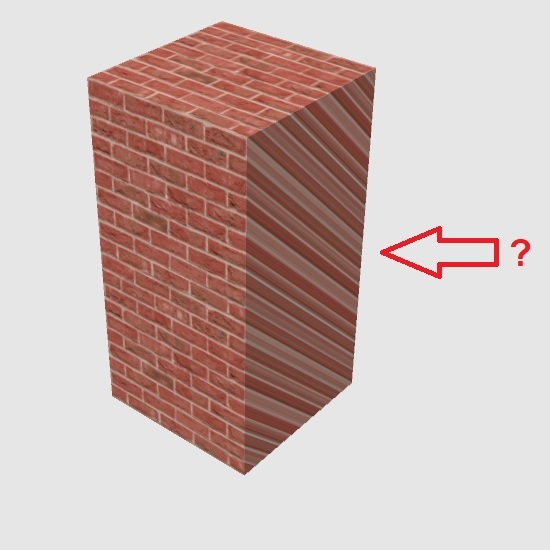 It's because how texture coordinates are handled in Sweet Home 3D. 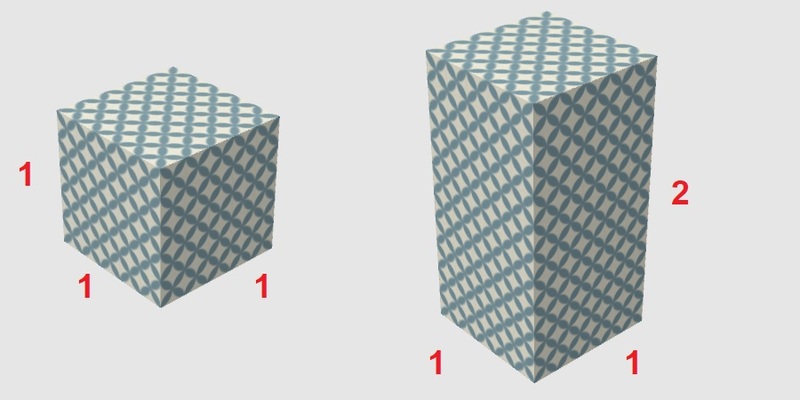 When you change the texture of an object with the Texture button in its furniture modification dialog box, a formula computes automatically the mapping of the chosen texture on the entire 3D model, using the size of the texture. The problem is that formula isn't flexible enough to get the results you expect on the 6 sides of a box. 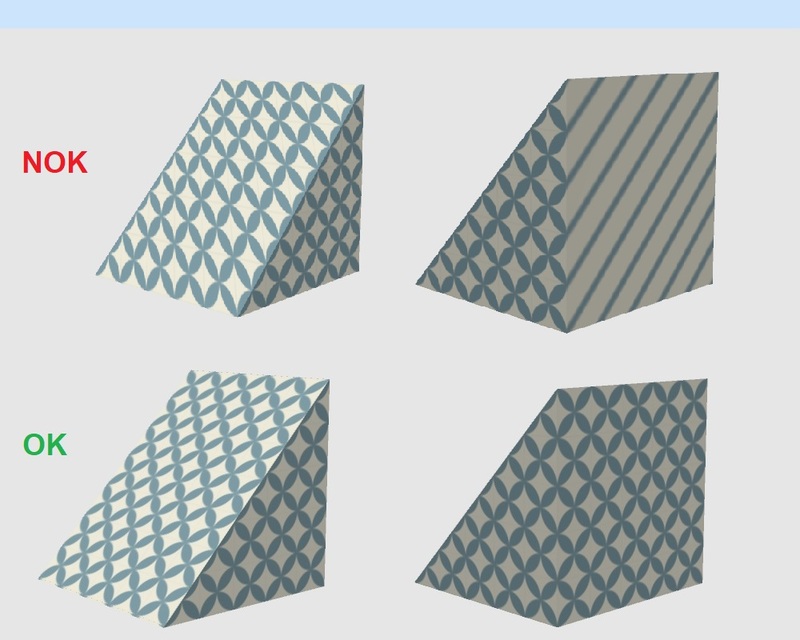 At the opposite, when you change the texture of a material in the Furniture materials dialog box, this formula is used only if texture coordinates are not defined on the shape matching the modified material (the box provided in the default catalog comes with texture coordinates defined for its sides and applied in such a way that a texture should cover an entire side). This gives two more or less logical ways to handle textures for users, without letting them bothering too much about the notion of texture coordinates which remains something quite complicate for the targeted audience of Sweet Home 3D. I tried with the texturableBox.obj in the given link. So I did do working my brain (yes it's possible ). I took 6 default boxes (1, 1, 0.001) & (1, 0.001, 1) & ..., one by face with their own texture. I built a new box (1, 1, 1) in a new group. => EUREKA ! the textures are not distorted ! => All sides are correct. Perhaps, but sometimes, a good think gives better result. 3 boxes are probably enough since only the left and right sides are not correctly textured. But from your previous message, I understood you thought this solution was taking too much time! Yes, so I created a new object put in a group for all my projects. One update of the group is only necessary for the 6 sides. I you want them, contact me.